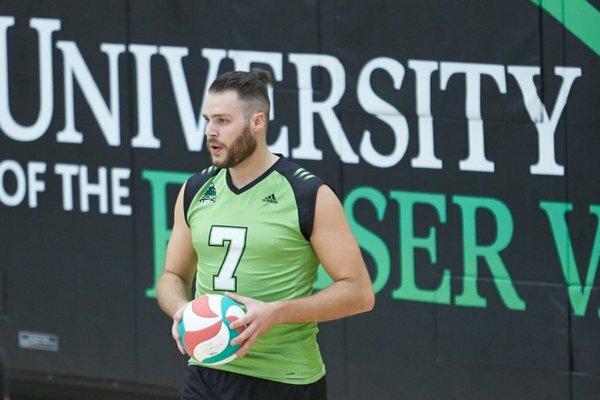 Abbotsford – Friday, Feb. 12 is shaping up to be an exciting night for the University of the Fraser Valley athletic department, with a pair of major events running in conjunction with a full slate of home games on the Abbotsford campus. 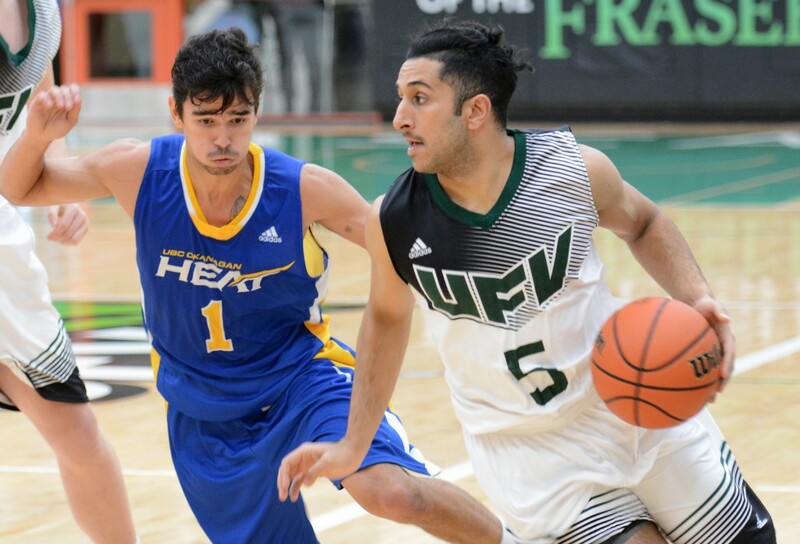 All four Cascades basketball and volleyball teams are in action at the Envision Athletic Centre on Feb. 12, and UFV alumni will receive free admission to the games, courtesy of the UFV Alumni Association. Those who don’t already have a UFV alumni card are asked to RSVP to alumni@ufv.ca. In the South Gym, the UFV basketball teams host the Thompson Rivers WolfPack in a pair of crucial Canada West conference match-ups. In the North Gym, simultaneously, the Cascades volleyball teams take on the Douglas Royals in PacWest regular-season action. The women’s games for both basketball and volleyball start at 6 p.m., followed by the men’s games at 8 p.m.
“We’re thrilled at the opportunity to partner with the UFV Alumni Association to deepen our connection with the community,” said Steve Tuckwood, UFV director of athletics and campus recreation. The Cascades women’s basketball team is set to host its ninth annual Shoot for the Cure fundraisers in support of the Canadian Breast Cancer Foundation. On Thursday, Feb. 11, the Cascades will host a pub night and silent auction at Finnegan’s Pub & Grill, starting at 7 p.m. Tickets cost $20 include a burger, side dish and drink. Tickets must be obtained in advance, and are available from UFV women’s basketball players, or by contacting event coordinator Hailey Kendall via email (haileykendal@gmail.com). On Friday, Feb. 12, the Cascades’ game vs. Thompson Rivers has been designated ‘Shoot for the Cure’ night. The team will be selling T-shirts and wristbands with the Shoot for the Cure logo, and will be accepting direct donations from fans. Shoot for the Cure, a coast-to-coast fundraising initiative established by the CIS Women’s Basketball Coaches Association, is now in its ninth year and is approaching $1 million in total donations. This season, for the fifth year in a row, all 47 CIS women’s basketball schools are set to take part. Be the first to comment on "UFV Cascades Athletics Hosting Alumni Night + Shoot for the Cure February 12"